Gwen Stefani: Just A Girl marks the Grammy winner's first Las Vegas residency. Don't miss seeing this hollaback girl in this energetic performance of her greatest hits! Gwen Stefani is ready to go B-A-N-A-N-A-S in Vegas. Order your tickets online! Enjoy the wonderful stage performance of Gwen Stefani as she rocks the Zappos Theater at Planet Hollywood. 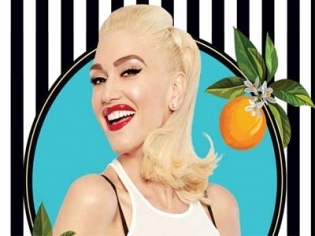 Gwen Stefani begins her first Las Vegas residency June 27, 2018 at the Zappos Theater at Planet Hollywood. This 3-time Grammy winner is a singer, songwriter, and performer extraordinaire. Also known for her coaching on NBC’s The Voice, she is multi-talented with successful books and clothing brands. She began her rise to stardom as the founding member and lead singer of pop group No Doubt. Gwen has since gone onto a highly successful solo career and branched out into many other forms of art, including starring with Leonardo DiCaprio in The Aviator. Gwen’s unique vocal prowess has won her legions of fans and many awards. The show at Planet Hollywood is sure to be a sell-out, so get your tickets well in advance.